Firestations are five Londoners who create energetic dream pop with some shoegaze and psychedelic moments. Twelve of their creations comprise their Never Closer LP, which recently was released on Waltz Time Records. The instrumental centerpiece is chiming, ringing, jangling guitars, but in addition to a traditional rhythm section the band makes use of electronics, flugelhorn and flute to flesh out the sound. The vocals are strong and the arrangements interesting. I'm listening to the album while writing this post as Pacific Northwest rain slams into my office windows, and I'm quite sure that this brand of melodic indie rock is just about perfect for the day. Standout songs include "Forgetful Man", the title track, "French Caves" (all of which can be streamed below), and "Tightrope". If you like dream pop, this may well be an album for you. You can stream the entire album at the band's website. The band members are Michael Cranny (guitar/vocals), Laura Copsey (laptop/flugelhorn/flute/vocals), Martin Thompson (guitar), Chin Keeler (drums), and Giles Littleford (bass). Prior bands include Dark Captain, Quickspace, and Left With Pictures. It being Thanksgiving, we thought we'd resurrect the Soul Corner and present you a great one with a history I'll bet some of you didn't know. If you assumed Sheryl Crow wrote or did the original version of "The First Cut is the Deepest" in 2003 you would be wrong. You'd also be wrong if you thought the 1977 Rod Stewart version was the original. P.P. Arnold was an American, an Ikette who left the Ike and Tina Turner Revue to move to England to start her solo career. 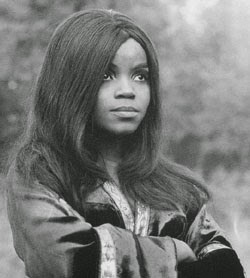 England was crazy then for American soul music, and her version of "First Cut" got the classic UK soul-pop treatment, much like the great Dusty Springfield singles of the same era. P.P. Arnold returned to live in the US for a time in the mid-1970's after marrying bassist Fuzzy Samuels (Crosby, Stills, Nash and Young). Following their divorce, she moved back to England. 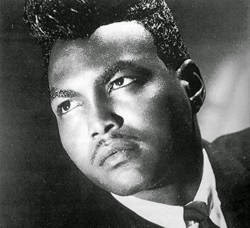 Arnold had a successful and varied career, including being backed by the Small Faces, appearing in major stage musicals, and recording with a wide variety of major artists, including Eric Clapton, Barry Gibb, Roger Waters, and Steel Pulse. 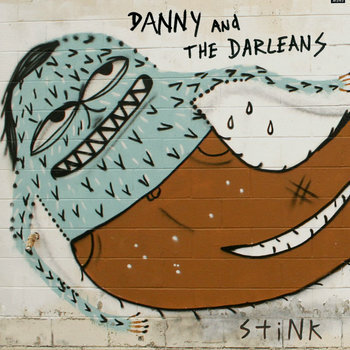 Danny and the Darleans aren't a brand new band, and the music we are featuring here is from the 2013 album. But it would violate the spirit of this website to not introduce our readers to a garage band this good. The Detroit three piece is Danny Kroha (guitar/vocals), Colleen Burke (bass/vocals) and Richie Wohlfeil (drums/vocals). They remind me of a high octane blend of The Sonics and the early White Stripes. No frills, no fuss, just great, gritty, close to the edge garage rock. If you like it, hit the Bandcamp link and download for a ten spot. I'll admit, I was a bit skeptical about a style of music described as folktronic, but Sadnecessary, the album from Clemens Rehbein and Philipp Dausch, the German duo known as Milky Chance, is full of compelling songs that just make me feel good. The set up is a laptop loaded with the electronic component and wielded by Philipp, and a guitar (sometimes acoustic, sometimes electric) in the hands of singer/songwriter Clemens. The DJ's grooves are substantial and infectious, and the vocal performances warm and sincere. Unsurprisingly, I found myself liking some songs better than others; for my ears, Milky Chance's music is best on the songs with a faster tempo. But fortunately the 14 song set includes many of such nuggets and all of the songs are worthy. And the contemplative "Loveland" is a treasure. Of course, the best introduction to the album is the group's solid gold hit, "Stolen Dance". Enjoy it below and then check out two other strong tracks, "Flashed Junk Mind" and "Down by the River". Sadnecessary is out now. If you are an online shopper it is available at Amazon and iTunes. Milky Chance will be touring North America in 2015. The dates and venues are at the bottom of this post. Four young men based in Livingston, Scotland comprise alansmithee, a band that has featured here several times. It seems that they are still evolving, but their sweet spot is woozy, frayed pop with psychedelic leanings. Depending on their muse of the moment, added ingredients may be blues, shoegaze or something else. For their latest edition, the two-track Checking Out, the band teams up with Marklar for a delightfully foggy and layered psychedelic pop record. 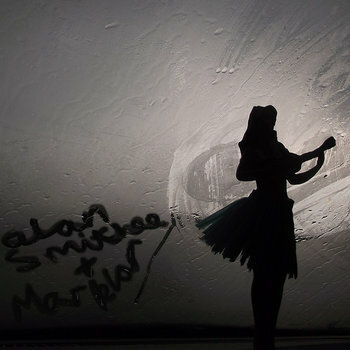 The single was just released by Glasgow label Flowers In The Dustbin. Tune in and drop out -- but hit the play button first. alansmithee is Ryan Macpherson (bass), Andrew Burns (guitar/vocals), Ruaridh Macpherson (guitar/vocals), and Joe White (drums). Thee Gold Blooms are a garage rock quartet with surf rock tendencies. The Perth boys have their roots in the '60s, but smear it enough to keep it fresh and fun. Their latest effort is the jangling, rootsy jam "Katie Sue", which will be released by Pavement Records in early December. I'll warn you that you may be tempted to sing along, It happened to me, but I took mercy on my neighbors and closed my office door first. An earlier garage rock nugget titled "Alana" is below, and their Soundcloud page includes a third track called "My Girlfriend". Thee Gold Blooms are Dylan (guitar/vocals), Jase (guitar/vocals), Goldy (bass/vocals), and Sean (drums). The Solicitors are the sound of Friday night. Get out of work, head straight to a smart bar with desirable romantic options. Dance, drink, and try your luck. On stage are four sharply dressed guys (maybe they just left work too) laying down an end of the work week soundtrack that is a perfect mix of new wave and power pop. You aren't sure, but they seem perfectly in tune with what's happening around you: Found love, lost love, laughter and tears. How the hell to they do that anyway? 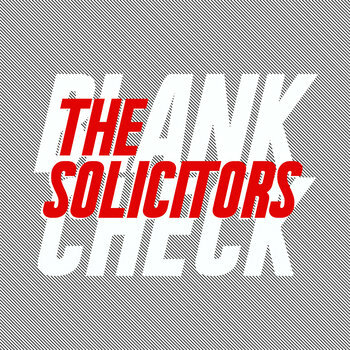 Their debut LP, Blank Check, races through ten songs in a little over a half an hour. With one exception, the tempo is high and adrenaline-charged. The instruments pull no tricks -- there is a rock-solid and straightforward rhythm section, a guitar driving the hooks and a call-and-response approach with the lead and backing vocals. The lyrics can have a bite, but no worries -- you are young and it is a Friday night. Let some other band carry the load on date night, the work week is over and lust is in the air -- find The Solicitors. The Solicitors were formed in Melbourne by English songwriter Lee Jones and American guitarist Laf Zucallerello. James Manning (bass and vocals) and Max Sterling (drums) complete the quartet. There is a bit of Elvis Costello, The Knack and Joe Jackson here, but the garage rock energy and power pop arrangements bring it all up to date. These guys are too good to be a pub band, but if you were filming a movie and wanted a top drawer band that could play the part of a pub band, only be really, really good, these guys should be at the casting call. Of course, that probably is why Popbboomerang Records snapped them up soon after their birth. Blank Check is available at the Bandcamp site, and you have a few more days to get ready for Friday. The Solicitors - If You Let Me Hold You from The Solicitors on Vimeo.